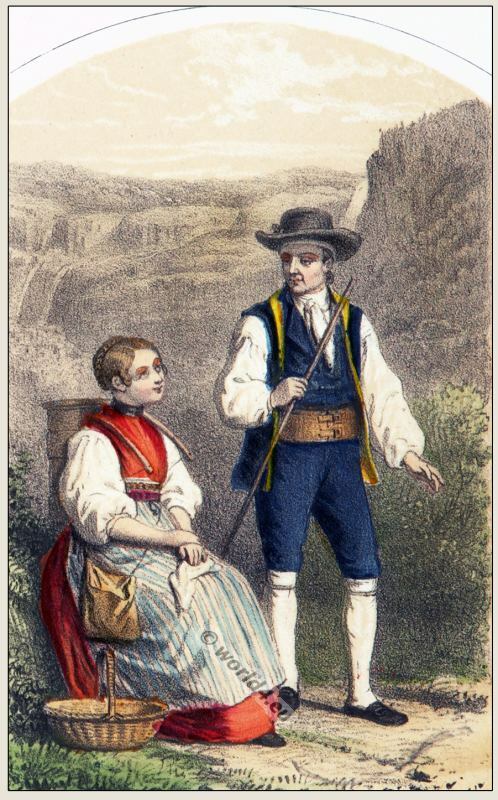 Couple in the costumes from the district of Oberhasli. Home » Couple in the costumes from the district of Oberhasli. Couple from the district of Oberhasli. Couple from the district of Oberhasli, Canton Bern. 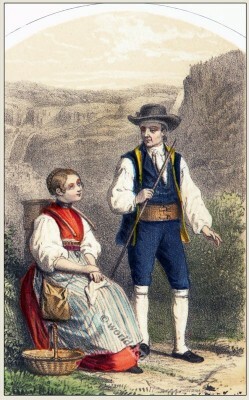 Switzerland national costumes 1865. This entry was posted in 1865, 19th Century, Switzerland, Traditional and tagged Canton of Bern, Traditional Switzerland costumes on 8/23/13 by world4.